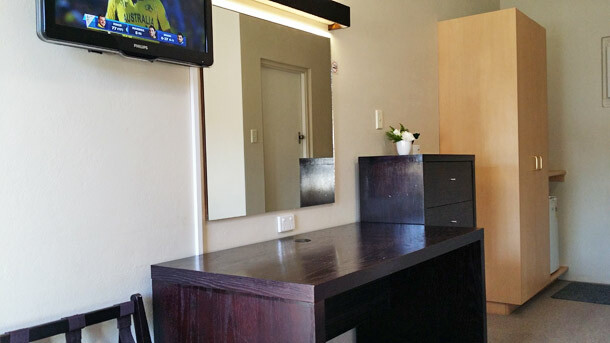 We offer a range of 3.5 to 4 star non-smoking, air conditioned rooms with a choice from single room to luxury 3 bedrooms self contained unit. 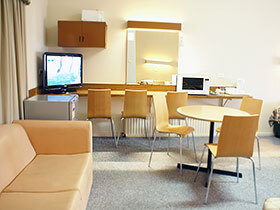 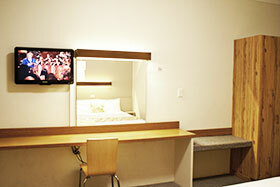 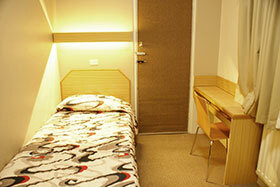 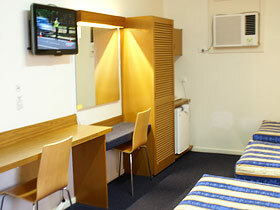 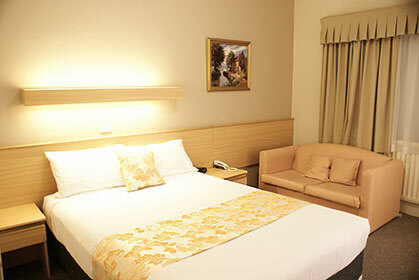 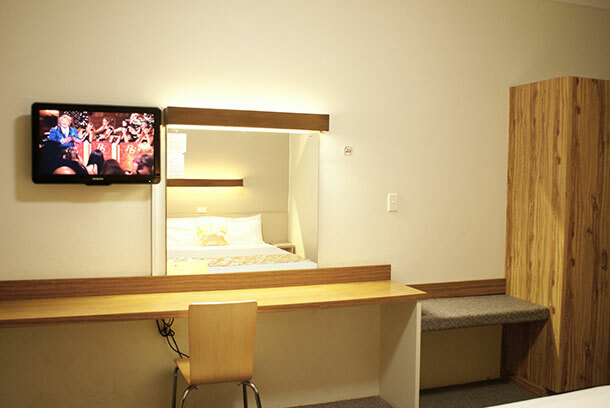 We also offer comfortable large or adjoining rooms for families. 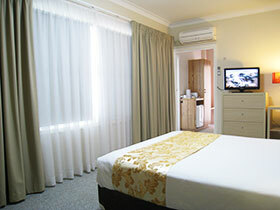 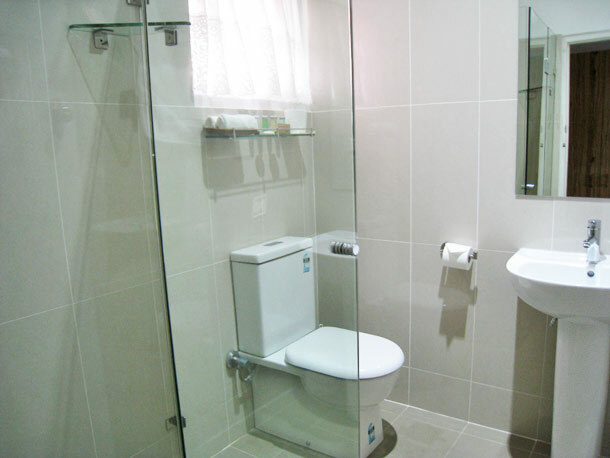 For guests wanting the home comfort, we have room with full size equipped kitchen and brand new bathroom. 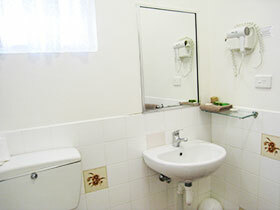 Country Lodge Motor Inn is an environment friendly motel. 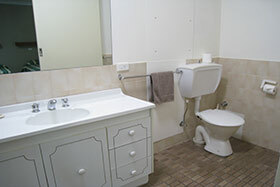 We do not use any chemicals for cleaning. 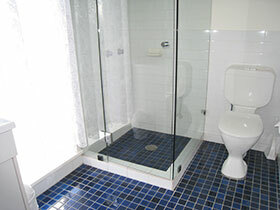 Our cleaning products are all from citrus extraction and our luxury range of toiletries is biodegradable. 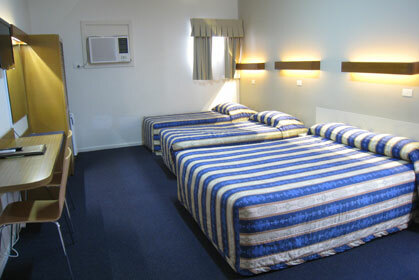 Country Lodge Motor Inn is a friendly place for Motor Club meetings and V8 and 12 hours races. 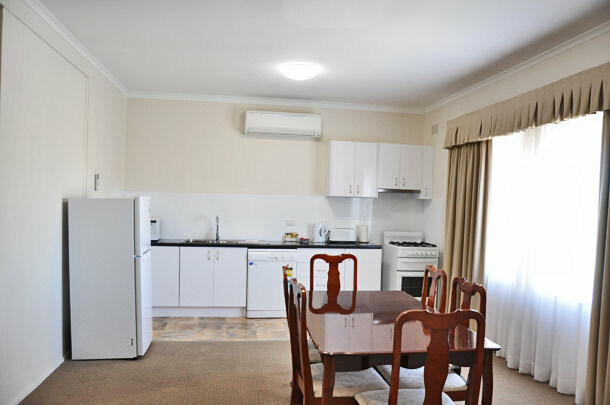 Breakfast is served 7 days a week to rooms and dinner is only a step away from next doors Panther Club or the award winning Bistro Piper. 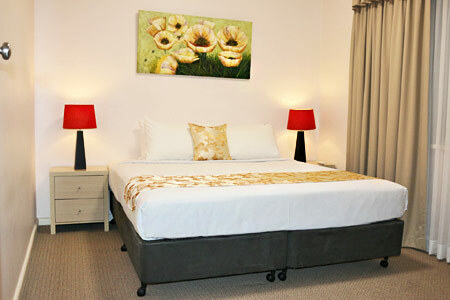 Brand new non-smoking self contained 2 (or 3) bedrooms, 5 star pillow top King bed in main bedroom and 2 single beds in second bedroom. 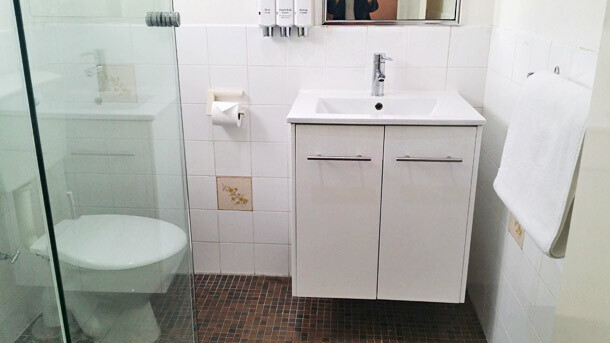 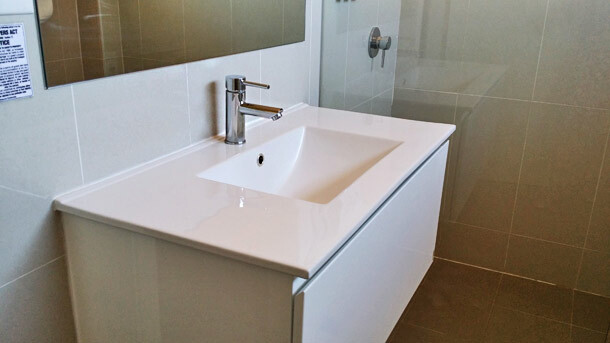 New modern bathroom and new full kitchen, dining area, lounge, free WiFi, tea & coffee making facility, large flat screen LCD TV, 10 channels Foxtel, reverse cycle air conditioner, balcony, onsite parking. 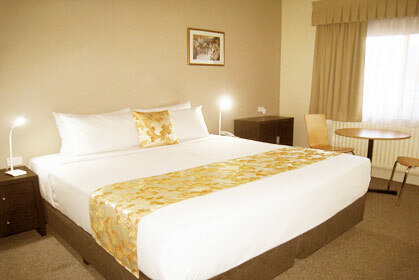 Optional third bedroom with one pillow top queen bed. 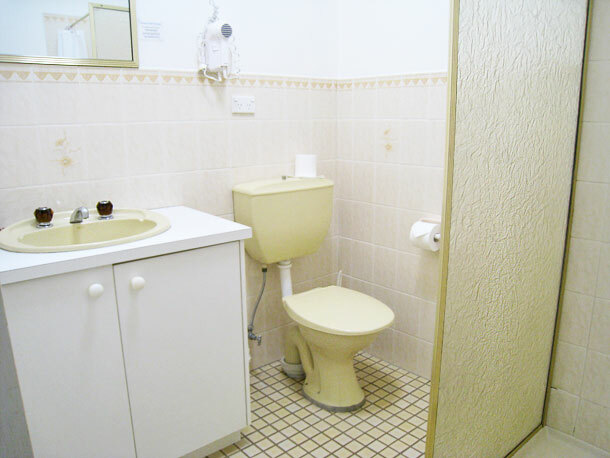 This room is upstairs. 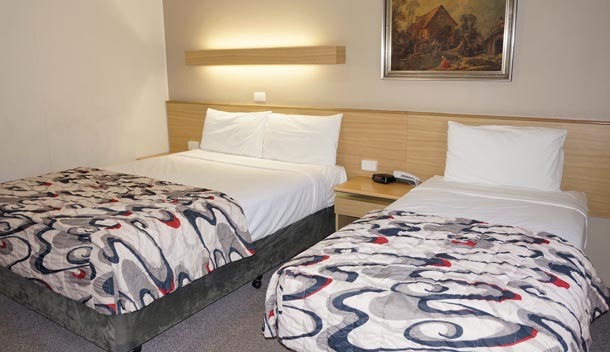 Sleep up to 4 persons, non-smoking room with one queen and two single beds, free WiFi, tea & coffee making facility, flat screen LCD TV, 10 channels Foxtel, reverse cycle air conditioner, small dining table, onsite parking. 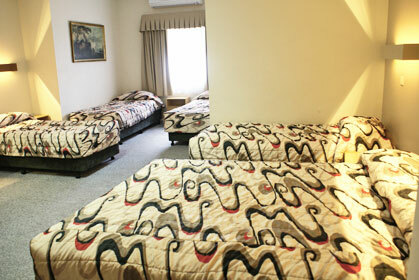 This room is upstairs. 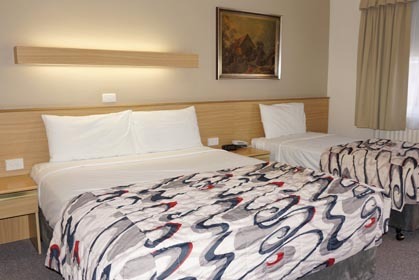 Sleep up to 6 persons, spacious non-smoking room with one queen and four single beds, free WiFi, tea & coffee making facility, flat screen LCD TV, 10 channels Foxtel, microwave, reverse cycle air conditioner, lounge and dining table, onsite parking. 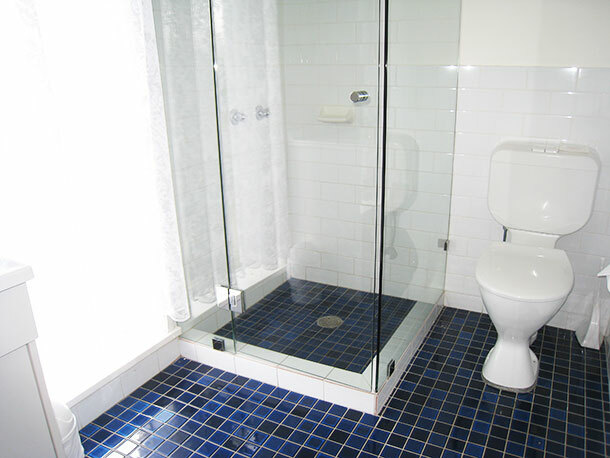 This room is upstairs. 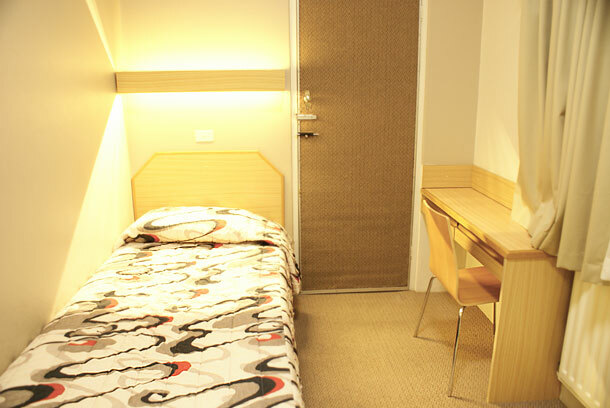 Sleep up to 4 persons, 2 interconnecting non-smoking rooms with one queen in main bedroom and 2 single beds in second bedroom, 2 bathrooms, free WiFi, tea & coffee making facility, flat screen LCD TV, 10 channels Foxtel, reverse cycle air conditioner, onsite parking. For 1 to 2 persons, non-smoking spacious king room with pillow top king bed and large new bathroom, free WiFi, tea & coffee making facility, flat screen LCD TV, 10 channels Foxtel, reverse cycle air conditioner, small dining table, onsite parking. 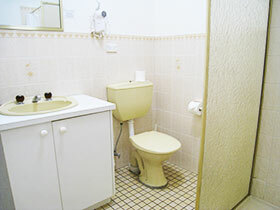 This room is upstairs. 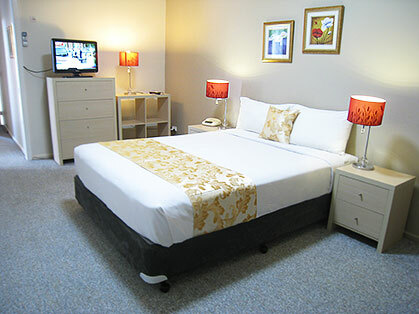 For 1 to 2 persons, non-smoking room with luxury pillow top queen bed, free WiFi, tea & coffee making facility, flat screen LCD TV, 10 channels Foxtel, reverse cycle air conditioner, lounge or small dining table, onsite parking. 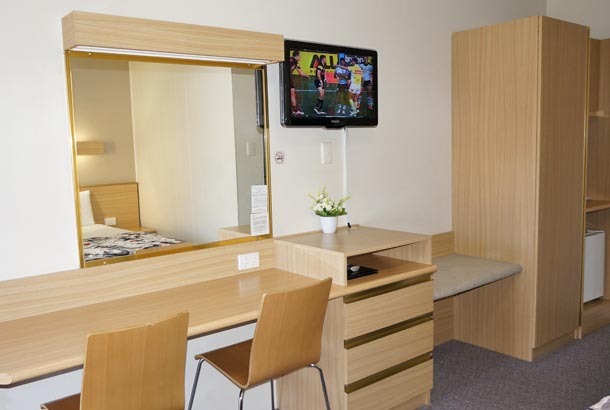 For 1 to 2 persons, non-smoking ground floor renovated room with luxury pillow top King bed, desk, small dining table, flat screen LCD TV, reverse cycle air conditioner. 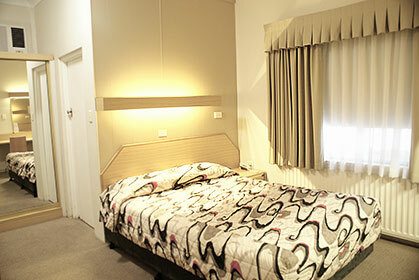 Next door to Panther league club, cinema, restaurants, museum, race track, CBD. Up to 3 persons, non-smoking room with a double or queen and a single bed, free WiFi, tea & coffee making facility, flat screen LCD TV, 10 channels Foxtel, reverse cycle air conditioner, onsite parking.